Who doesn’t love sitting down with their favourite glossy and a cup of tea? 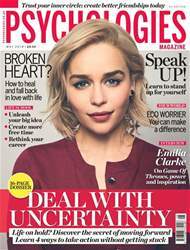 Explore our range of Women’s Interest magazines covering all the areas of life you love. Whether you’re looking for a fitness or a lifestyle magazine subscription or a fashion magazine subscription, you’ll find our women’s interest category packed with essential reads. If you’re looking for a leading lifestyle title with fitness, home, family and life advice, check out our range of lifestyle magazine subscriptions. More about fashion, beauty and style? Our wide range of bestselling fashion magazine subscriptions will help you to define your style and find a bargain on the high street, too. Looking for women’s interest magazines? 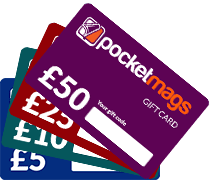 You’ve come to the right place – you’ll find all your favourite women’s interest magazine subscriptions right here at Pocketmags.com. With lots of lovely lifestyle, home, fashion, beauty and fitness titles to choose from, have a browse and find a good bargain! Hair magazines: Perfect for hairdressers (or for those who just love to change up their look), our hair magazines will give you insights into all the latest trends – try Black Beauty & Hair and Hair Fashion for inspiration. Celebrity magazines: Always looking for the latest A-lister gossip? Our celebrity magazine subscriptions will bring you just that, direct to your phone, laptop or tablet (don’t forget to download the Pocketmags app to get it double quick)!Our favourite celebrity magazines include Closer, Heat, Hello and Look. Weddings & Brides magazines: If you’re getting hitched, you need a picture perfect wedding magazine to bury your nose into when planning all gets too much! We love the romantic features in Absolutely Weddings, Bride to Be and Perfect Wedding magazine. Lifestyle & Fashion magazines: The original glossies are just as good digitally as they are in print! Download your favourites with a lifestyle and fashion magazine subscription – we love InStyle, Marie Claire and Woman and Home. Slimming magazines: Stay on track with easy access to success stories and the best slimming tips – our slimming magazine subscriptions are the ideal way to keep motivated all year round. Your best body is just a subscription away! Fitness magazines: Get that body trim and toned! Join a thriving community of women’s fitness readers who enjoy leading their healthiest, most energetic and well lives yet with a fitness magazine subscription. We recommend Women’s Fitness and Your Fitness magazines to get you up and moving.